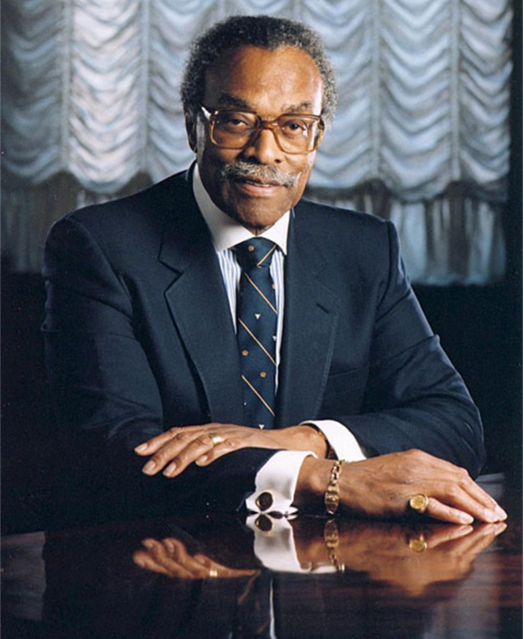 Lincoln Alexander graduated from Osgoode Hall Law School in 1953. He practiced law until 1968, when he entered the political sphere as the first black Member of Parliament. He successfully served four consecutive terms. In 1985, Alexander was appointed as Lieutenant Governor of Ontario, and was again the first black person to hold this office. In his later years, Alexander was appointed to several other high profile positions, including: Companion of the Order of Canada, Chancellor of the University of Guelph and Chair of the Canadian Race Relations Foundations. Throughout his life, Alexander was a champion of equity. He was a trailblazer who broke through colour barriers that had previously hindered the advancement and success of Black Canadians. Since his passing in 2012 at the age of 90, Lincoln Alexander has left behind an incredible legacy of public service that still resonates with many of us today. The Lincoln Alexander Award recipient is a professional in the community who embodies the values of leadership, professional excellence and a commitment to public service. These values will be evident through their professional experiences, contributions to the Black community and legal advocacy. To nominate a potential candidate, please fill out the nomination form or provide us with a letter and submit it to blsalincolnalexander2019@gmail.com no later than February 19, 2019. 1. All Black-identified professionals substantially engaged with the African/Black community in Canada are eligible to be nominated for the above award. 2. Nominations for awards may be submitted by any student or faculty member of Osgoode Hall Law School, as well as members of the legal community. 3. You may nominate more than one individual for this award. Please use one form (as attached) for each individual nominated. 4. A short narrative explaining the reasons for your nomination is required. 5. All nomination forms (via Google form) must be submitted to blsa@osgoode.yorku.ca by February 19th, 2018 at 11:59 PM. 6. Decisions will be made by the executive of the Black Law Students Association- Osgoode Hall chapter. 7. The award will be presented to the successful nominee at the Lincoln Alexander Award ceremony on February 26th, 2018 at Osgoode Hall Law School. 8. ALL NOMINEES MUST BE AVAILABLE TO ATTEND OUR AWARD CEREMONY ON FEBRUARY 26 AT 4:30PM.